Fall hasn’t even officially started yet and it’s already pumpkin spice mania out there. We’ve come a long way from the Starbucks pumpkin spice latte, now you can find everything from pumpkin spice Hershey’s kisses to pumpkin spice beer so why should your kitties miss out on this beloved fall trend??? 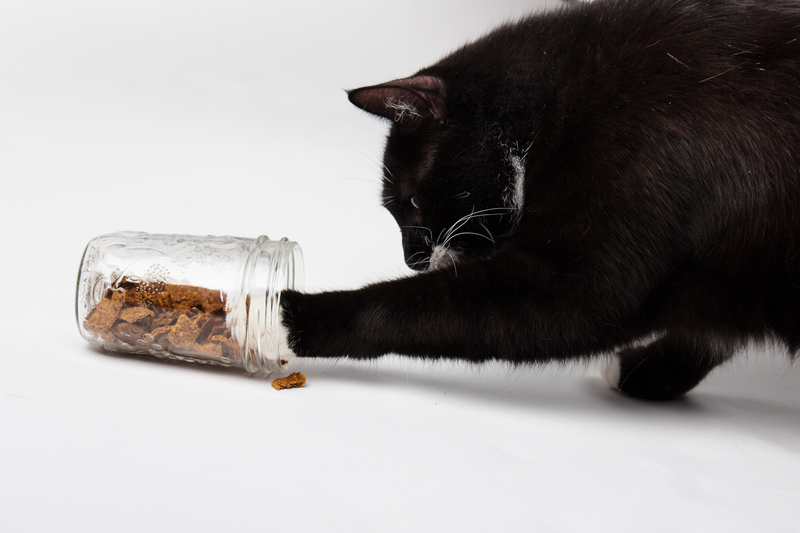 Cue pumpkin spice cat treats, and by spice we mean catnip (the only spice your cat is going to care about). 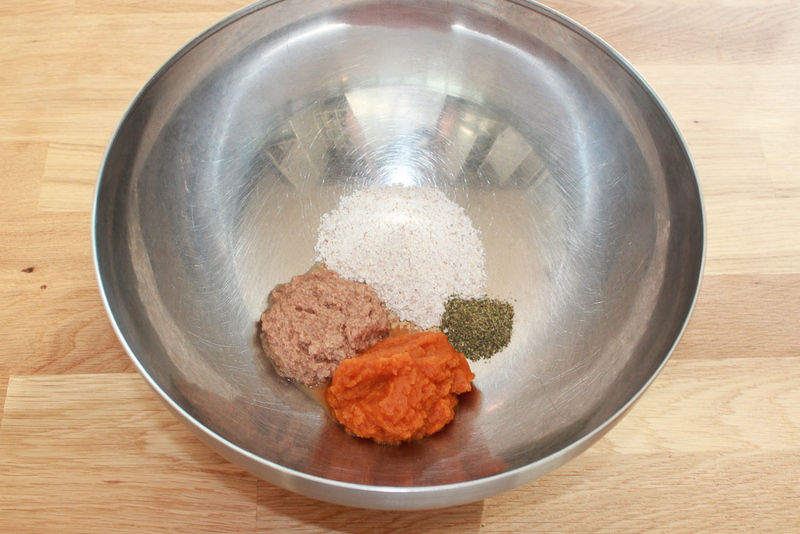 Unlike its human counterpart these treats are actually healthy for your cat as they’re filled with pumpkin, oats and turkey, all things healthy for kitties! With only 4 ingredients, these are super easy to make and a great way to use up extra pumpkin you may have from Halloween or the holidays. Preheat your oven to 350 degrees (F). 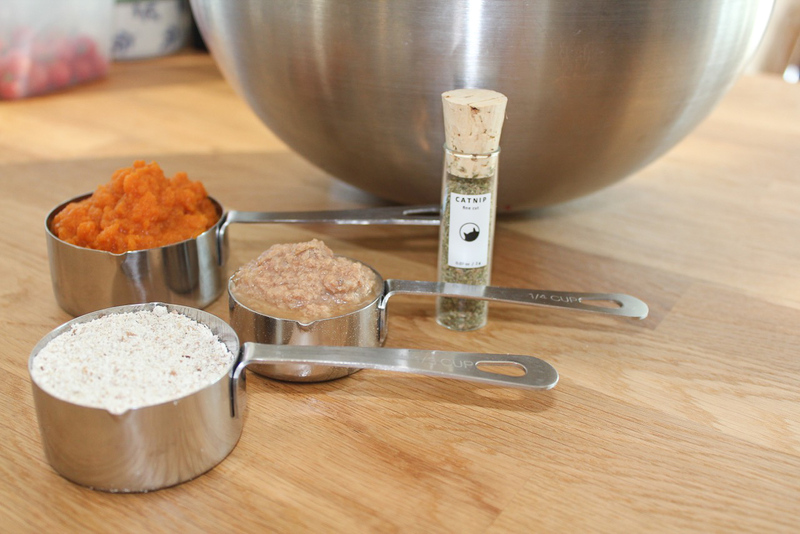 Throw all the ingredients in a bowl and stir with a fork. 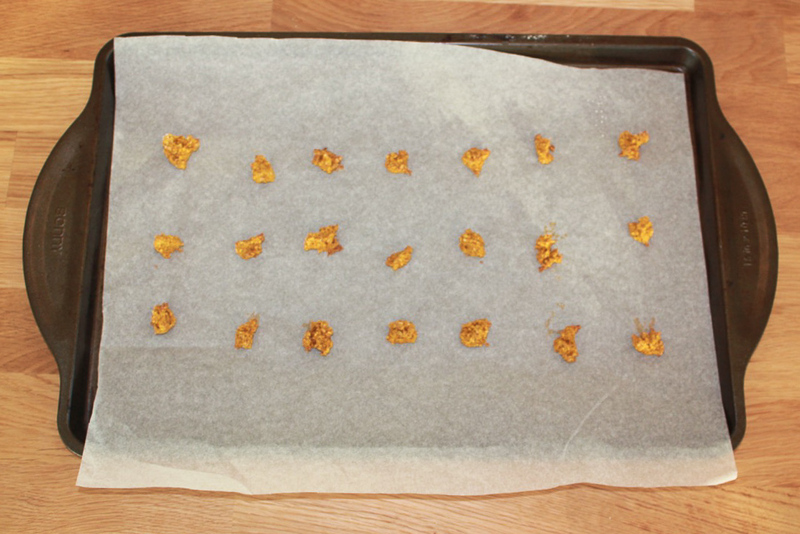 Line a baking sheet with parchment paper and drop small spoonfuls of the dough onto your sheet (keep them really small, most cats will have a hard time eating any treat bigger than the size of a dime). 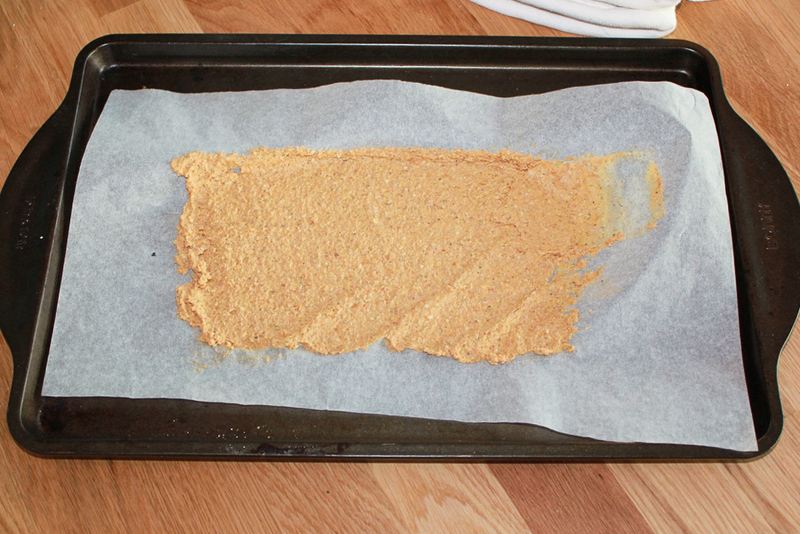 For pumpkin spice snaps (which we found cats prefer), spread a thin layer of the dough onto your baking sheet as shown below. Bake at 350°F for 15 minutes, remove from oven, slice into small squares with a sharp knife and put back in the oven for 5 more minutes. 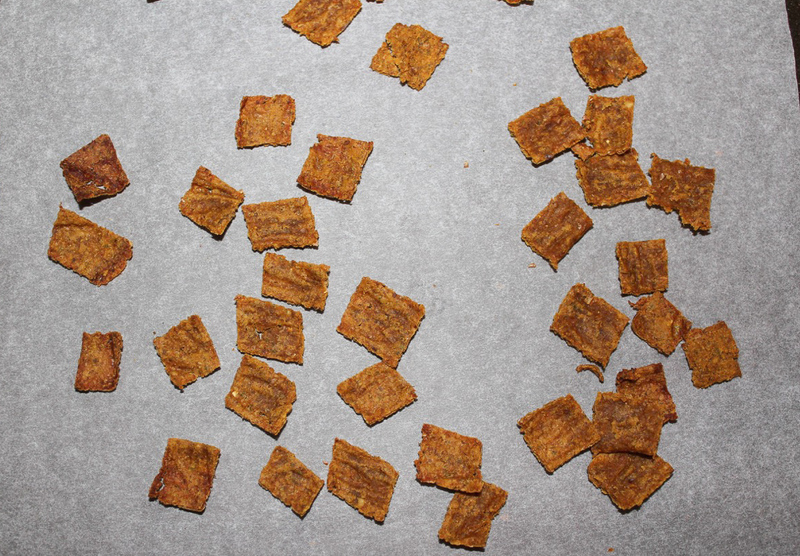 Your pumpkin spice treats are now ready to share with your kitties for a delicious fall snack!